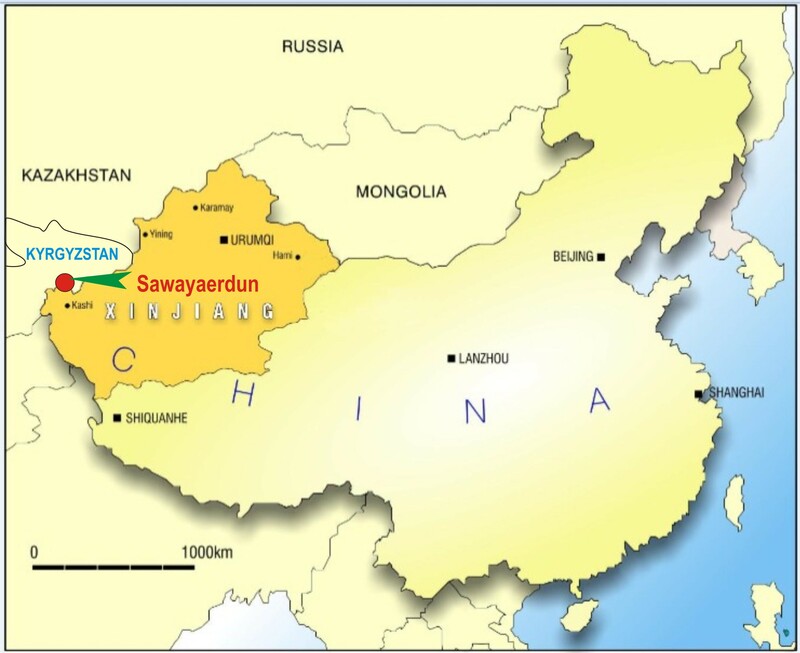 GobiMin holds a 70% equity interest in Xinjiang Tongyuan Minerals Limited (“Tongyuan”) through a wholly-owned subsidiary, to explore, develop and operate the Sawayaerdun Gold Project (the “Gold Project”) located in Xinjiang, China. 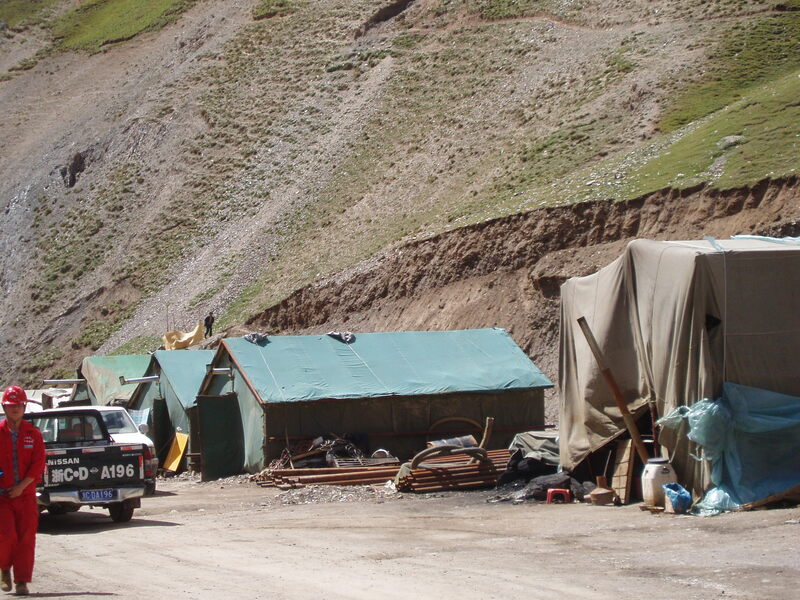 The Gold Project is located 200 km northwest of the city of Kashi, western Xinjiang, China and lies within the Tian Shan Gold Belt, which is one of the most promising gold belts in China. The property is accessible from Kashi via Wuqia to Wulukeqiati by 200 km of paved road and then 38 km by highway from Wulukeqiati. Adequate water supply from the Sawayaerdun River is available to the property. The main zones of mineralization have been defined within the project area, and are referred to as Zone I and Zone IV. The ore domains generally consists of low to medium grade gold mineralization developed within quartz filled ductile shear zones formed within a meta-sedimentary sequence. The Zone IV domain is approximately 3km long and has been defined to a depth of 700m. This is the most continuous zone so far defined within the project area. The defined ore domains dip at between 60° and 80° toward the northwest and therefore strike northeast. Mineralized zones can range from less than 1m to 50m in thickness. 1. 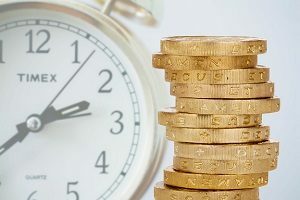 Resources estimate updated according to the NI43-101 guidelines and prepared by Qualified Person as defined in the NI43-101, Mr. Bin Guo, in April 2015. 2. CIM definitions were followed for Mineral Resources. 3. 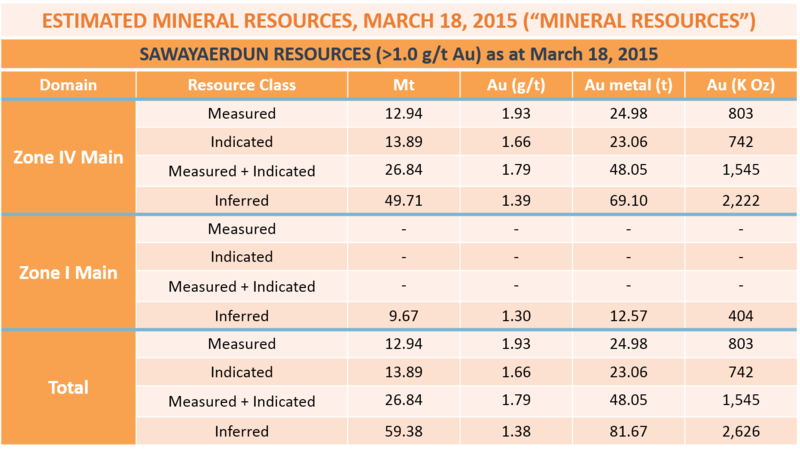 Mineral Resources are estimated at cut-off grade of 1.0 g/t Au using the cut gold composite values. 4. Figures reported are rounded which may result in small tabulation variances. Weighted average are used to report average gold grades.